Can you tell how ready for Fall I am? 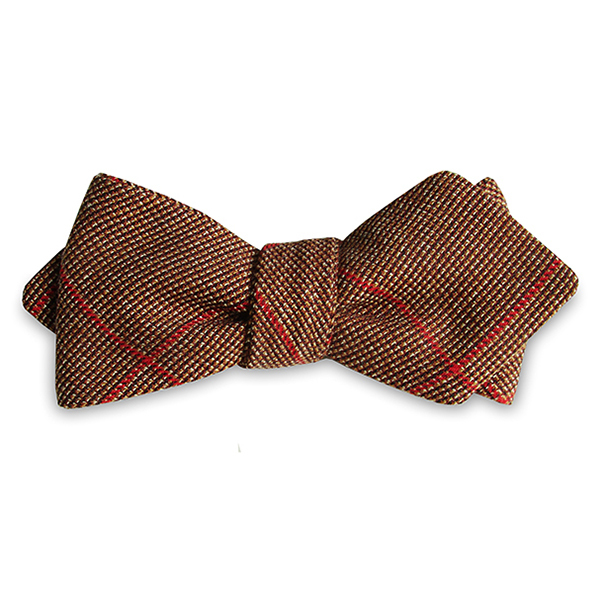 The Hampshire Bow Tie from LA-based Pocket Square Clothing is easily on the top of my want list for Fall bow ties. Always a sucker for tweed, I love the russet plaid stripping that runs through the diamond point silhouette. Affordably priced and handsome to boot, PSC’s entire line is worth checking out. For today’s Bow Tie Friday, I must give a shout-out to a young gentleman who’s been making quite a name for himself lately: Moziah Bridges of MosBowsMemphis.com. 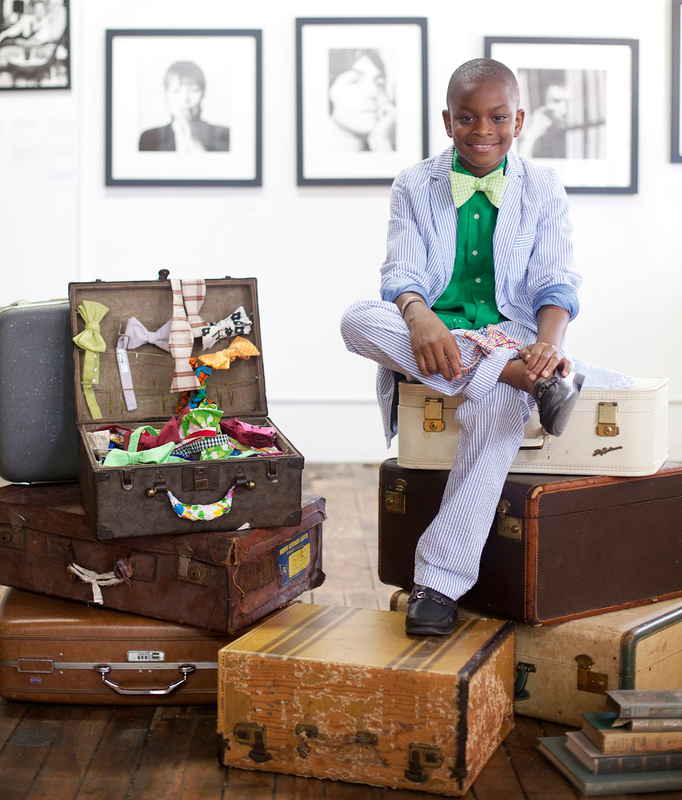 At only 11 years old, Moziah has gained national attention with his handmade bow ties, dapper appearance and straight-up adorableness. He’s appeared on numerous television programs, magazines and of course, Dandy blogs. A dapper dresser since birth it seems, Moziah began his business (as many entrepreneurs do) because he couldn’t find any bow ties that he liked. After his grandmother taught him a thing or two about sewing, he began making his own and selling them online. Remarkably, Moziah has earned over $30,000 through his Etsy shop and as a further testament to his gentlemanly character, has even set up a scholarship fund which uses 100% of its profits to send kids to summer camp. 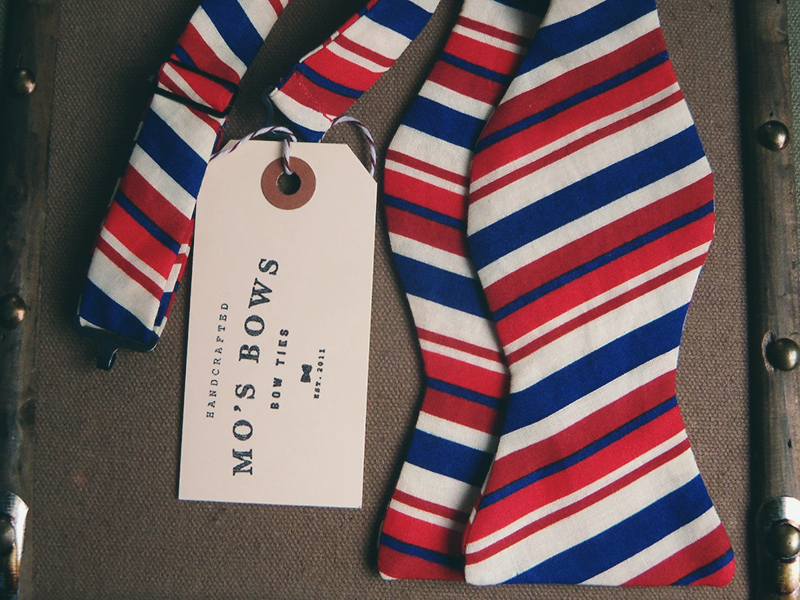 His Bow Ties ranged in price from $25-$50 dollars, with all fabrics chosen by Moziah himself. Keep up the great work, Moziah! 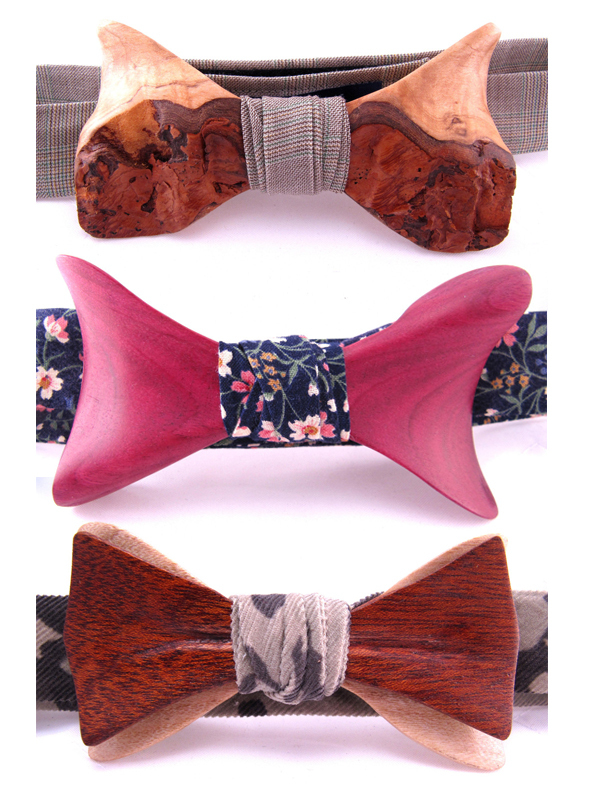 We’ve featured wooden ties on the blog before, but few can match the sheer awesomeness of these Ella Bing Bow Ties. Based out of Tampa Bay, Florida, each bow tie is hand crafted (no laser cutting here) with special attention paid to trending seasonal fabrics. Even more amazing than their bow ties is the touching story behind how the company began. After loosing a family member to suicide, Ella Bing looked to keep the memory of their loved one alive by starting a company around his favorite accessory: the bow tie. In an effort to raise awareness about suicide prevention, Ella Bing donates 10% of every sale to the Crisis Center of Tamp Bay. If the wooden bow ties aren’t your thing, Ella Bing also offers regular handmade bow ties along with pocket squares, awesome lapel flowers and wooden cufflinks which are coming soon. Saw this guy outside our hotel this afternoon and he was inspiring to say the least. 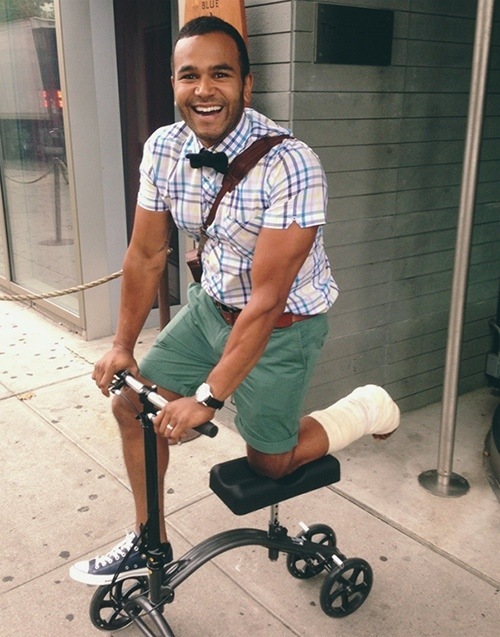 A true Dandy doesn’t let something like a bum leg get in the way of looking their best. Well done, sir. Been a while since we had a proper Bow Tie Friday post, and it seems I had to… forage (haha) for some new companies to feature. Thanks to a tip from my old Vermont roommate, we’ve been introduced to Forage Haberdashery. 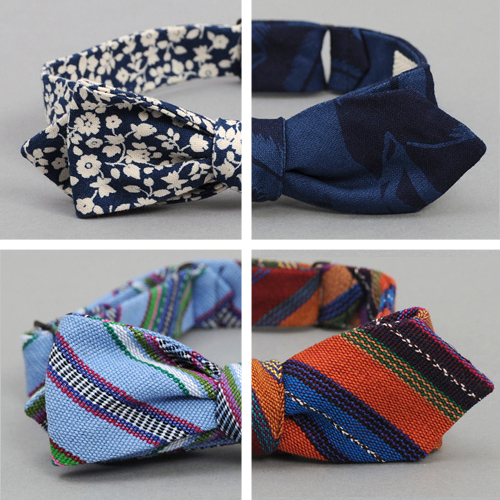 Based in Philadelphia, each of their ties are hand-crafted in limited numbers using new, vintage and deadstock fabrics. 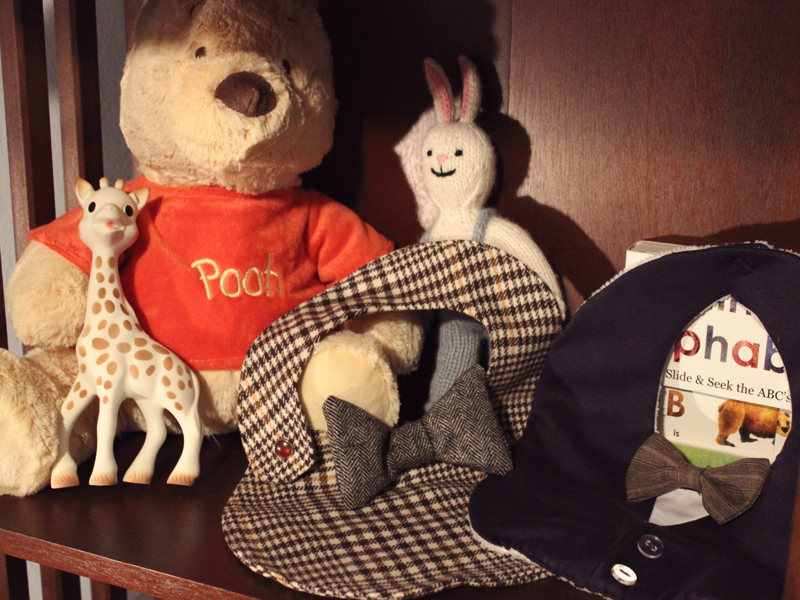 They also make neckties, handkerchiefs and even (eep) matching bow ties for kids! Might have to start stocking up now for when the kid gets a little older. Thanks again for the tip, Wilsey! Posts have been a bit scarce lately and I do apologize. The reason behind this is the wife and I have been getting ready to welcome Dandy Jr. into the world and needless to say, we’ve been busy. With than in mind, I just wanted to let everyone know that I will be stepping away from the blog for a little bit as we start this new and exciting chapter in our lives. Fear not. Posts will still be appearing, just not everyday, and certainly not in the next couple of days. If I do manage to get a break between feedings, diaper changes, and caring for the Mrs, I’ll try and upload some Dandy outfit posts. Of course they may or may not be featuring my son. No promises. 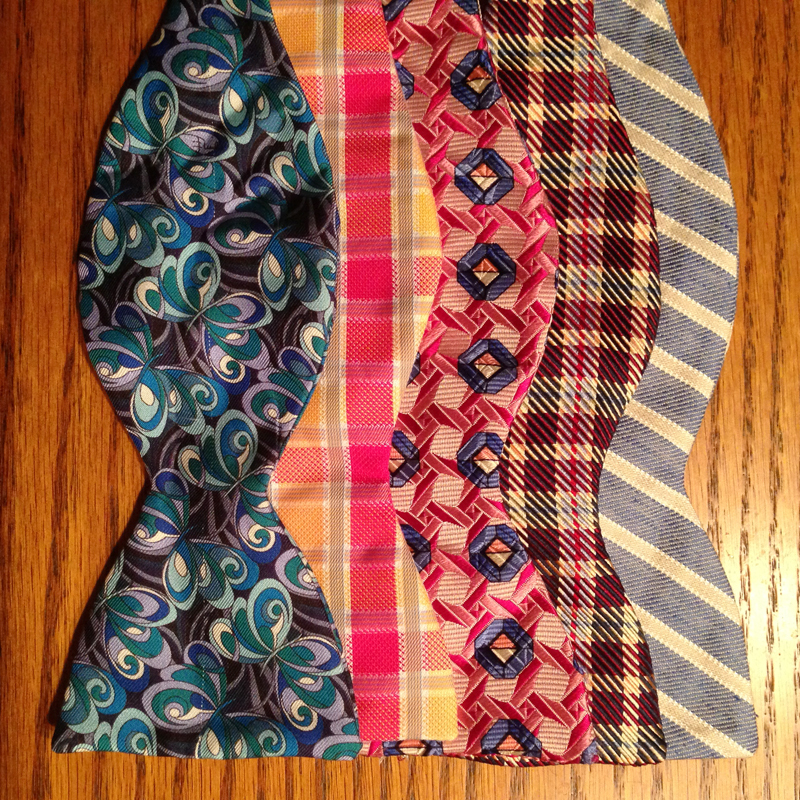 With all that in mind, check out these awesome Bow Tie Bibs for Bow Tie Friday! What can I say, our family and friends know us well. Thanks for reading everyone, and as always, stay Dandy. 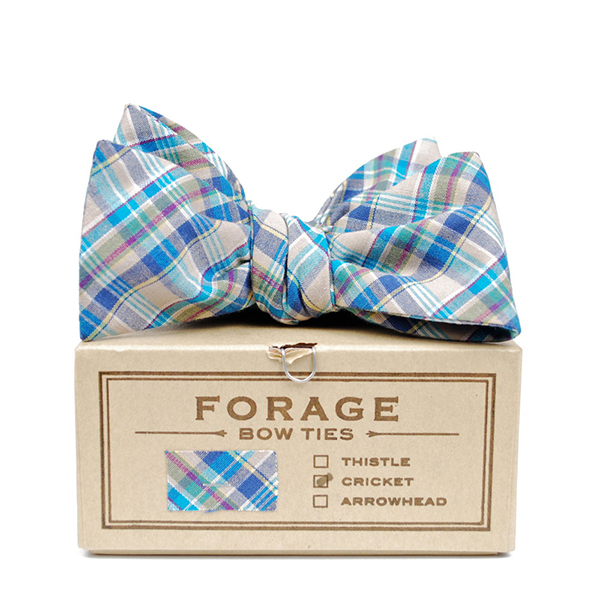 Hickorees just released a bunch of new Spring bow ties from BD favorite The Hill-side. 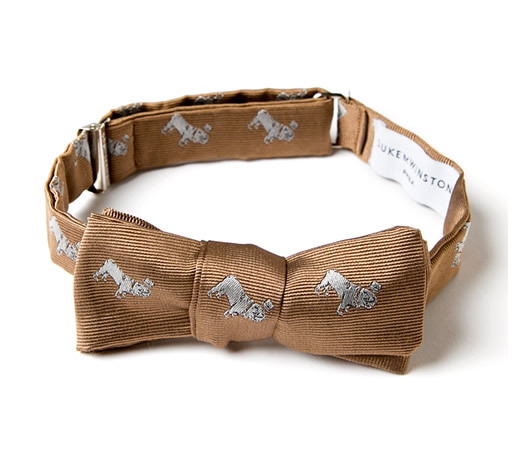 Must be a Dandy Bulldog kind of week, because this Bow Tie from Duke & Winston is fantastic and perfect for Bow Tie Friday. Be sure to check out the rest of their site as well for Dandy puppy accessories, clothing, leather goods and more. Our Classic woven bulldog logo on gold bowties hand crafted by a single Amish seamstress with 30 years experience in her shop in the heart of Amish Country. We are proud to be able to produce these not only in the USA but right here in Pennsylvania. Online shop 5-Knots is being graceful enough to extend another discount to Buffalo Dandy readers. 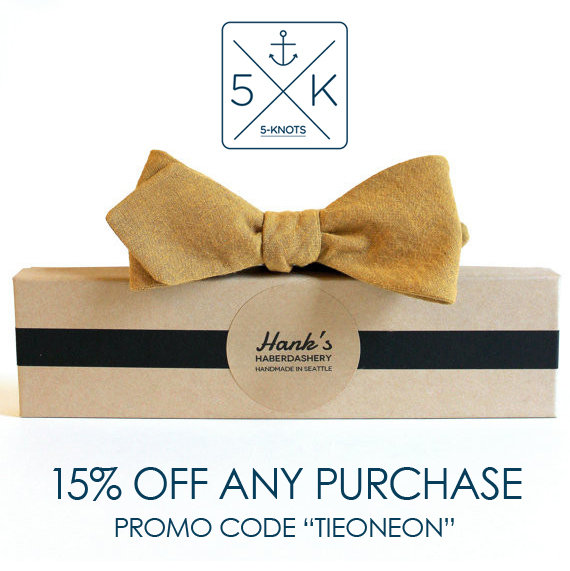 Enter code “TIEONEON” to receive 15% off your entire purchase from this month’s collection. Offer expires 1/27/13. One of my favorites from their current collection is this Mustard Bow Tie from Hank’s Haberdashery. The company launched just a few months ago with a collection of handmade bow ties, each carefully constructed with a mix of new and vintage fabrics. Each design is hand-cut and crafted in Seattle, Washington, using only natural fibers.